Welcome to Music Friday when we bring you sensational songs with jewelry, gemstones or precious metals in the title or lyrics. Today, we flash back to the 1980s and join the German rock/synthpop group Alphaville singing their blockbuster hit, "Forever Young." The song, which became a sing-along anthem in 1984 and charted in nine countries, contains the key phrase: "Youth is like diamonds in the sun, and diamonds are forever." The song has been covered by numerous musical groups and has appeared in television series, movies, and advertisements. It was featured in the school dance scenes of the movies Listen to Me and Napoleon Dynamite. 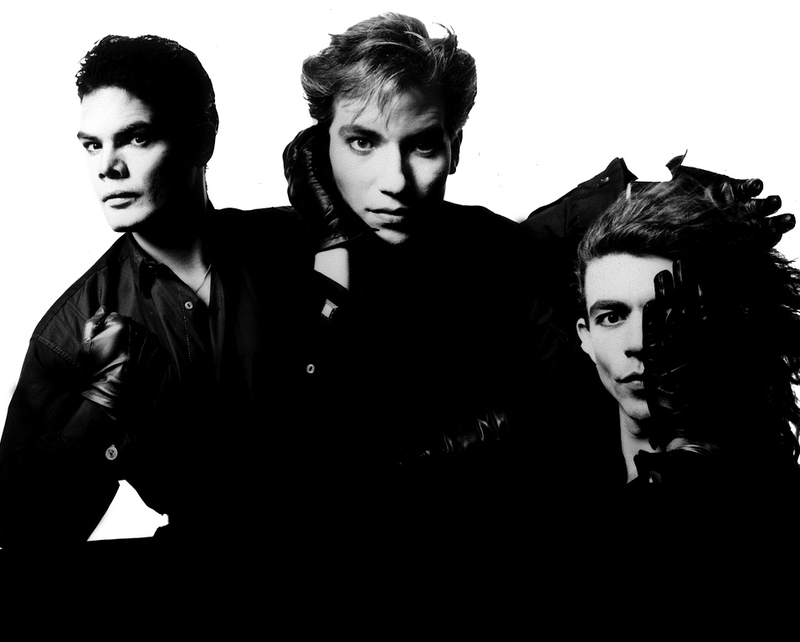 Here's a cool fact: The band was formed in 1982 and named Forever Young before changing to Alphaville in 1984. In 2001, Alphaville released a new set of remixes in a "limited fan edition" called "Forever Young 2001." The CD was offered to fans for free (they only had to provide a small fee for postage), and the names of every fan that requested a copy was printed on the inside cover of the CD. Written by Marian Gold, Frank Martens and Bernhard Lloyd. Performed by Alphaville. Quiz: Who Is Martha Rocha and Why Is Her Name Forever Linked With March’s Birthstone — The Aquamarine? Who is Martha Rocha and why is her name forever linked with March’s brilliant blue birthstone — the aquamarine? Back in 1954, Maria Martha Hacker Rocha was a statuesque 18-year-old Brazilian beauty queen. After winning the title of Miss Bahia in her home state, she went on to become the first Miss Brazil and was the runaway favorite to win the Miss Universe pageant. Although she eventually earned runner-up status to American Miriam Stevenson, Rocha won the hearts of fans all over the world. They were taken by her beauty, class and captivating blue eyes. Right about the same time as Rocha was competing on the world stage, an incredible aquamarine crystal was found on a farm near Teofilo Otoni, Brazil. It weighed approximately 74.5 pounds and the color was so rich, so intense that the Brazilian gem dealers needed to distinguish it from the rest. 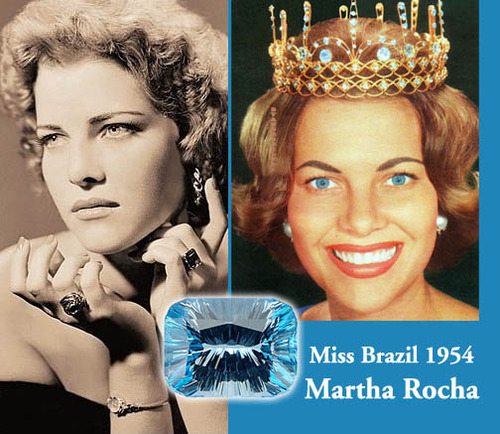 They named it “Martha Rocha” as a special tribute to the Brazilian beauty queen with the captivating clear blue eyes. 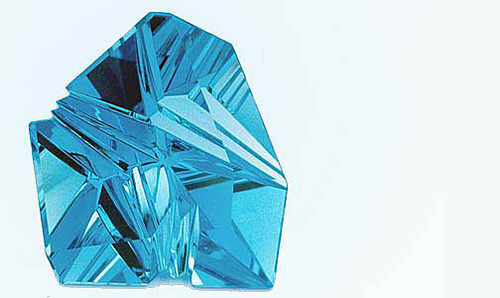 Even today, gem experts use “Martha Rocha” as a classification of tone and intensity when rating the finest-color aquamarines. Aquamarines are mined in many countries, including Nigeria, Madagascar, Zambia, Pakistan, Mozambique and the U.S., but most of the finest-quality gemstones still come from Brazil. Tipping the scales at an astounding 101.73-carats, it's the largest flawless diamond ever to be offered at auction. 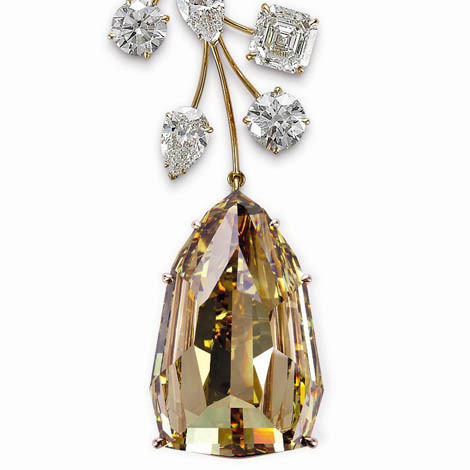 The yet-unnamed pear-shaped gem is expected to set auction records when it fetches upwards of $20 million at Christie's Magnificent Jewels sale at the Four Seasons Hotel des Bergues on May 15. Discovered in the Jwaneng mine in Botswana, the once-in-a-generation marvel weighed 236 carats in its rough state. According to The Sun, expert diamond cutters worked on the specimen for 21 months. 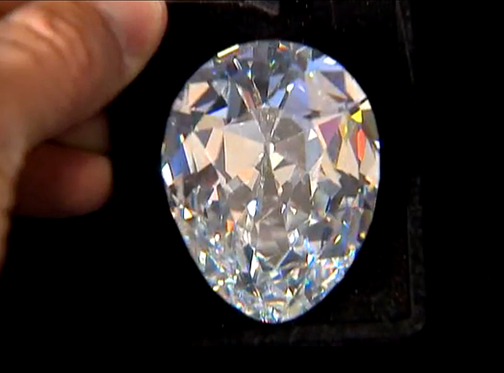 According to a spokesperson for the auction house, the diamond was literally "sculpted like a work of art." The cutters lost nearly 57 percent of the diamond's weight during the process, but yielded a D-color, Type IIA flawless gem — the best ratings for color and clarity. “This diamond is, in its scale, quality and rarity, one of the most beautiful ‘white’ diamonds Christie’s has ever had the honor of offering for sale,” said Rahul Kadakia, Head of Jewellery, Christie’s Switzerland and Americas. How does the unnamed 101-carat diamond stack up against the largest gem-quality diamonds of all time? The reigning champ is the 530-carat Cullinan I (also known as the Great Star of Africa), which is part of the British Crown Jewels. 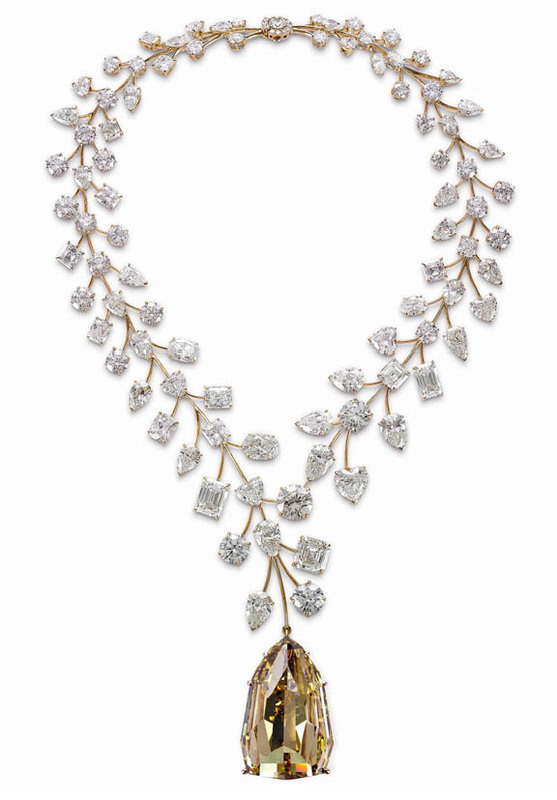 Valued at more than $30 million, the L’Incomparable Diamond Necklace by Mouawad features a staggering 1,044 carats of diamonds, including the internally flawless golden L’Incomparable Diamond weighing in at 407.48 carats. The high-profile designer claims that the unusual triolette-cut gem is the world’s largest internally flawless diamond. The necklace was unveiled for the first time at the Doha Jewellery and Watch Exhibition in Qatar a few weeks ago. Complementing the massive L’Incomparable Diamond are 637 carats of smaller white diamonds in pear, brilliant and emerald cuts, all set in rose gold in a laurel wreath design. There are 91 diamonds in total. Although no price was put on the piece, some jewelry experts estimated that the L’Incomparable Diamond Necklace would probably command an asking price of $30 million or more if it were ever offered for sale. The flawless center stone, which was discovered 33 years ago in the Democratic Republic of Congo, weighed 890 carats in its rough state. It was polished in 1984, and its first public appearance was at the Smithsonian Institute in Washington, D.C.
A young girl is credited with finding the L’Incomparable Diamond in a pile of rubble collected from an old mine dump. The diamond had been overlooked because the bulky rubble was thought to be too large to contain any diamonds. This massive rough diamond was considered to be cut into the world's largest gem, but the final size was reduced to 407.5 carats in order to earn a flawless grade. Huntsville, Ala., news anchor Jillian Pavilca was tricked into reading some "breaking news" off the teleprompter during a live TV broadcast on Saturday, only to discover that the news was actually the lead-in to her own surprise marriage proposal. Pavilca's boyfriend, Vince Ramos, convinced the show's producer to put his script into the teleprompter and the results were spontaneous, funny, romantic and memorable. "And we do have some breaking news to report to you," Pavlica told her audience at the end of Saturday's 9 p.m. newscast. "Fox 54 has just learned that a Huntsville news anchor is being proposed to on live TV right now." It takes a moment for the news anchor to absorb what she just said, and her two fellow newscasters scamper off the set. Then Ramos enters the scene, where he drops to one knee and proposes on live TV. The anchor says, "Yes," and the couple embraces. The producer then goes to a shot of the weather map, as one of the fellow anchors says, "Hey, here in the Fox 54 studios, a hundred percent chance of a few tears of joy tonight." Pavlica revealed to the "Today" show that she had no chance to read the "breaking news" script before she did it live. It's been a big week for BIG diamond news. On Monday, we told you about a 101.73-carats flawless diamond that's expected to break auction records at Christie's Geneva. On Tuesday, we wrote about a 1,000-carat necklace that features the golden 407.48-carat L’Incomparable Diamond. Today, we give you a close-up look at a rough diamond recently extracted from the Karowe Mine in Botswana that weighs a whopping 239.2 carats. Also pulled from the same mine were smaller, but still impressive, rough diamonds weighing 124 carats and 71.1 carats. 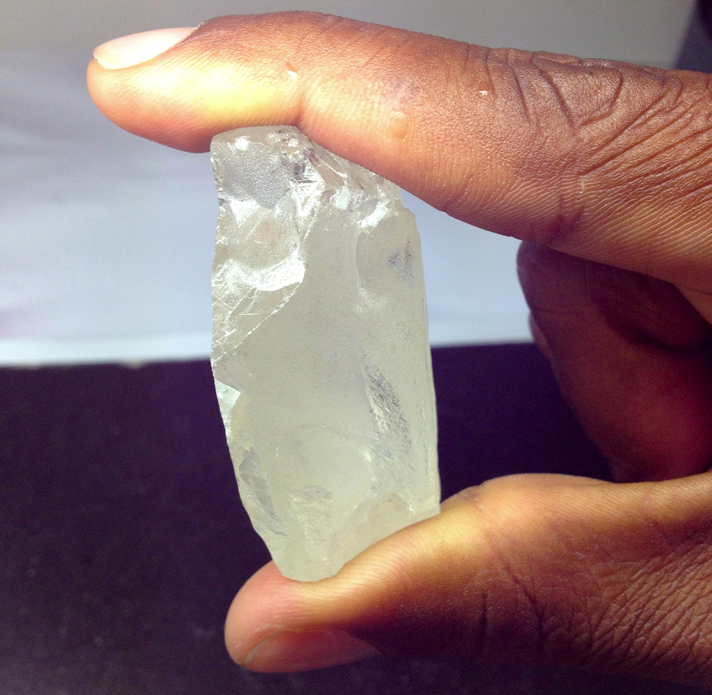 Credited with these stellar finds is the Canadian-based mining company, Lucara Diamond Corp. The company was unable to estimate the clarity or potential value of the largest diamond because, in its current state, it's difficult to see beneath the surface. William Lamb, president and CEO of Lucara, told JCK magazine, "The color is good, but because of the surface texture, it is difficult to say on the clarity." 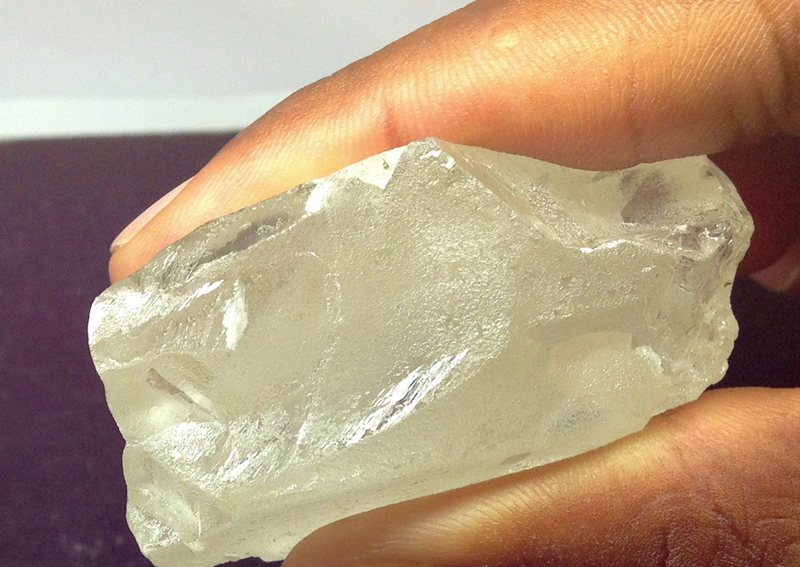 The company will be sending the rough diamond to Antwerp to be analyzed by expert gemologists and gem cutters. The challenge will be to get the best yield while maintaining the highest possible clarity and color. Lamb added that the 239-carat stone is "one of the largest diamonds ever to have been recovered from the highly prolific Orapa kimberlite field in more than 40 years of production." The mining company's recent success with mammoth diamonds coincided with the southward expansion of its mining pit. Welcome to Music Friday when we bring you splendid songs with jewelry, gemstones or precious metals in the title or lyrics. Today, soulful songstress Duffy brightens our blog with a live performance of "Serious" from her Grammy-award-winning album, Rockferry. In the song, the 28-year-old Welsh star senses that her boyfriend doesn't want a serious relationship. She laments, "I'm a trophy on your arm. You wear me like a charm, yes you do." The 2008 release of Rockferry brought Duffy instant success and international fame. Despite it being a debut album, Rockferry entered the U.K. Album Chart as number one and went on to sell more than seven million copies worldwide. The critically acclaimed album spawned Duffy's Grammy-nominated international megahit, "Mercy." Born Aimee Ann Duffy, the artist told a British entertainment web site that she was inspired to pursue soul music after watching Whoopi Goldberg's performance in the movie Sister Act. See the video of Duffy at the end of this post. The lyrics are below if you'd like to sing along. Written by Bernard Butler and Aimee Ann Duffy. Performed by Duffy. 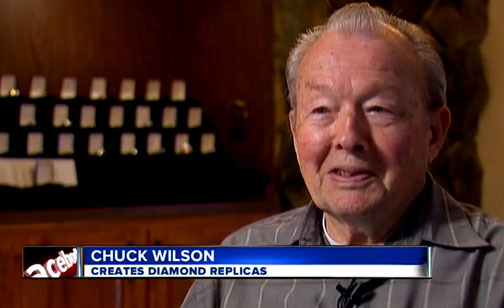 Since the age of 69, Chuck Wilson has been on a mission to replicate 29 of the world's most famous diamonds, including the Hope Diamond and the Star of the South. 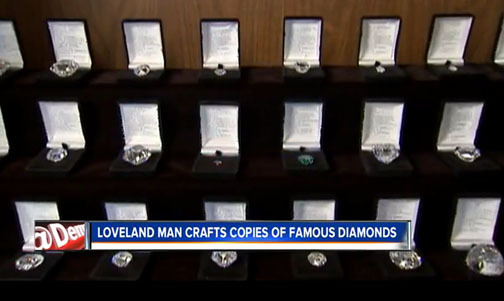 Now, 14 years later, the 83-year-old gem aficionado from Loveland, Colo., has logged countless hours at his grinding wheel and counts 22 cubic zirconia replicas in his collection. With only seven replicas to go, Wilson told TheDenverChannel.com he's confident that he can complete his labor of love. "Hopefully, I'll live a few more years to do this," he said. When a reporter asked him why faceting diamonds is "his thing," Wilson answered, "I'm proud of what I do. People look at my work and say, "How did you do this?" "Everybody can't do it," he added. "It's something that takes a little skill and patience –mostly patience. And, it takes a long time." How long, exactly? 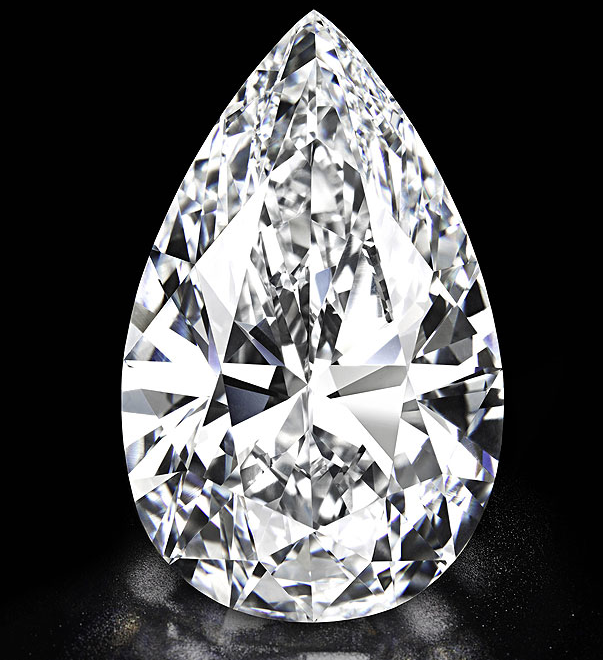 Well, Wilson's replica of the 245-carat Jubilee Diamond took two years to complete. The task of imitating a famous diamond starts with a schematic rendering of the original. This includes all the facets, angles and measurements. Then, he uses a chunk of cubic zirconia. Cutting the CZ material on a band saw attains the basic shape. Then, the faceting begins with a series of ever-finer grits of industrial-grade diamonds bonded to a grinding wheel. The process slowly hones away the excess material. "It's all about angles and indices," said the octogenarian as he demonstrated his skill on a Facetron machine, a device his uses for cutting facets – or flat planes – on a gemstone. "It takes a lot of looking; each facet you have to grind a little bit and look. Grind a little bit and look. It takes a lot of time, patience and expertise." Each finished replica is a mini masterpiece. Although Wilson is proud to exhibit his growing collection at gem and mineral shows, his work is not for sale and he couldn't guess what the collection is worth. In a spectacular 15-minute bidding session, a simple 18th century "toi et moi" (you and me) engagement ring that a 26-year-old Napoleon bought for his fianceé Josephine in 1796 shattered auction estimates and was sold to an anonymous bidder for $949,000, according to ABC News. The presale estimate was a paltry $20,000. The Osenat at Fontainebleau auction house in France did not have great expectations for the "unimpressive" piece, even though it had belonged to a future emperor and empress. 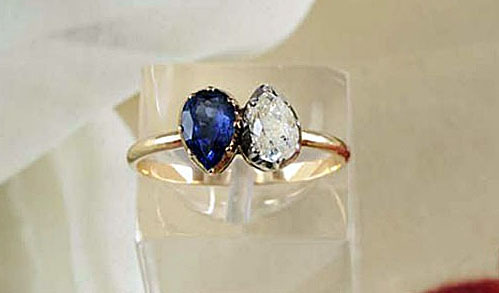 The ring features two tear-shaped gemstones – one diamond and one sapphire — set in opposite directions. The carat weight of the two gems is little less than a carat each. "In my wildest dreams, I did not think we would outsell the estimate by more than 47 times," said Osenat's Emily Villane. The auction house clearly miscalculated the premium bidders would pay for the Napoleon and Josephine provenance. There was intense interest in the ring, Osenat said. In addition to the 300 bidders in the Fontainebleau auction house, about 50 more international buyers were connected by phone, and dozens more by email. Bidding started at 10,000 euros, but was quickly raised to 50,000 euros. From then on, the bidding accelerated by increments of 10,000 during the 15-minute bidding war. "When the hammer went down at 730,000 euros there was a huge applause," Villane said. The size of the gems and style of the ring reflected Napoleon's status in 1796 — eight years before he would become emperor. Although he was a young and promising officer, he was not very wealthy when he proposed to Josephine de Beauharnais, who was six years his senior and a widow with two children. They wed shortly after the engagement, but the honeymoon lasted less than two days. Napoleon was called on to lead the French army on its successful invasion of Italy. 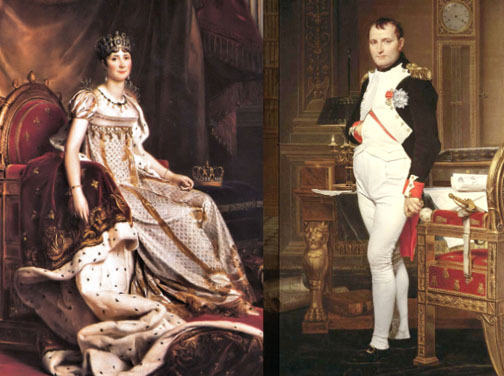 Still smitten, Napoleon would often write to Josephine twice a day. Josephine, on the other hand, remained in Paris, where she tended her children and had an affair with Lt. Hippolyte Charles. The marriage would end in a divorce, but Josephine kept the beloved engagement ring and passed it down to her daughter, who would later become the Queen of Holland. More recently, the ring was part of a collection that was owned by Victor Napoleon and his wife, the Princess Clementine of Belgium, who later passed the items down in the family, according to the Los Angeles Times. At barely four inches tall, this impressive pink peacock proudly parades the priciest plumage you may ever see. At the center of the brooch is a 20.02-carat fancy deep blue pear-shape diamond, one of the rarest blue diamonds in the world. And adorning the tail feathers is a vivid array of white, pink, yellow, orange, green and blue diamonds in various sizes and shapes. The tip of each feather is set with a cluster of white diamonds that look like a flowery bloom. 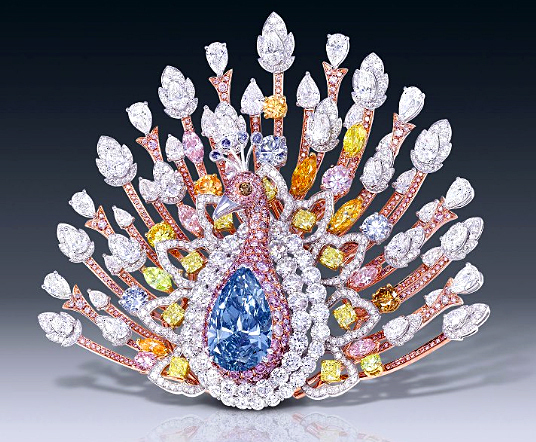 In total, the Peacock Brooch by London-based Graff boasts 1,305 diamonds weighing a total of 120.81 carats. The price: $100 million. Beyond the beauty of the piece, it was also cleverly designed for wearability. The rose gold brooch features a special clasp on the back that allows the blue diamond centerpiece to be removed and worn two ways. The Peacock Brooch made its first public appearance at the TEFAF art and antiques fair in Maastricht, Netherlands, last week. 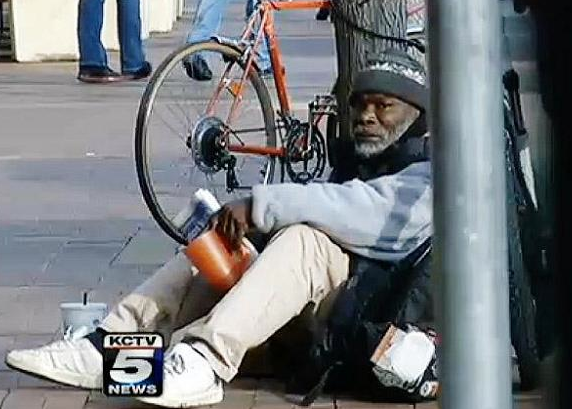 Billy Ray Harris, the homeless man from Kansas City, Mo., who showed tremendous integrity by returning a diamond-and-platinum engagement ring that was accidentally dropped into his change cup back in February, is now an international celebrity. On Sunday, Harris was reunited with his family on NBC's Today show and a fundraiser established in his honor has received 8,280 donations for a total of $189,000... and counting. His quintessential rags-to-riches story is not only heartwarming, but attests to the amazing powers of the Internet and social media. To recount his story, Harris discovered an engagement ring after a woman dumped spare change from her purse into his cup. Sarah Darling had taken off her ring earlier that day and put it with the coins because the ring was bothering her finger. "The ring was so big that I knew if it was real, it was expensive," the 55-year-old Harris told KCTV in February. 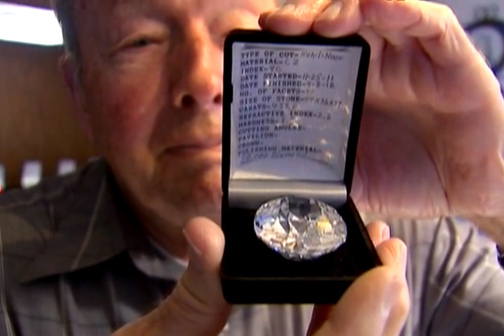 He took it to a local jeweler, who offered him $4,000 on the spot. 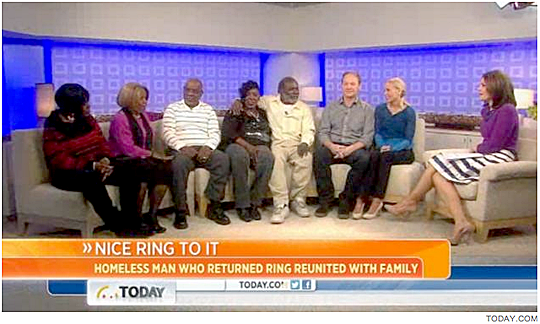 Instead of taking the money, Harris decided to hold onto the ring, sensing the donation was a mistake and that the woman would come back to claim it. When Darling realized her error, she returned to Harris' regular spot on Kansas City's Country Club Plaza. She told him that she might have given him something valuable. When she confirmed it was a ring, he said, "Well, I have it." "It seemed like a miracle," Darling said. "I thought for sure there was no way I would get it back." Darling and her husband, Bill Krejci, were so moved by Harris' selflessness that they started an online fund for him on the GiveForward web site. As of last night, it had surpassed $189,000. The fundraiser will continue until May 15. Harris' act of selflessness drew international attention as his story went viral on both the Internet and TV news shows, including a segment on Sunday's Today show, where producers assembled a surprise family reunion. "This is a really big surprise," Harris said during a joyous reunion with his four siblings. "I'm in shock." Harris hadn't seen or spoken with his siblings in more than a decade. The world is much brighter for Harris since the diamond ring landed in his cup. "This is a big payoff," said a visibly emotional Harris. "Got it all right here now." Welcome to Music Friday when we bring you fun tunes with jewelry, gemstones or precious metals in the title or lyrics. Today we have Huey Lewis and the News singing their chart-topping hit from 1985, "The Power of Love." In the song, Lewis says the power of love is a curious thing. It's "tougher than diamonds, rich like cream." Fans of actor Michael J. 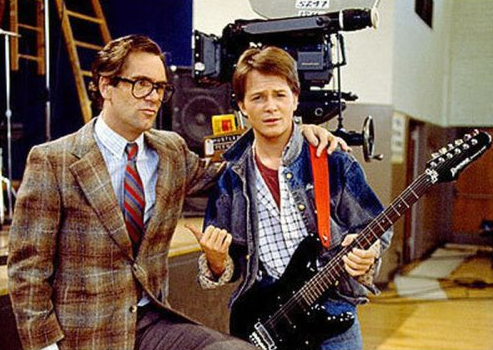 Fox may remember that "The Power of Love" was featured at the beginning of the 1985 blockbuster film Back to the Future, as Fox's Marty McFly character is skateboarding to school. Later in the film, the song surfaces again when McFly and his group are auditioning for the Battle of the Bands. Lewis makes a cameo appearance in the film as a faculty member who rejects the band. Says Lewis, "Sorry, fellas... I'm afraid you're just too darn loud." Lewis and two collaborators wrote the song especially for Back to the Future, which grossed $383 million at the box office. Driven by the film's universal appeal, "The Power of Love" blasted to #1 on the U.S. Billboard Hot 100 chart and was nominated for an Academy Award. It was also the band's first #1 hit. Written by Johnny Colla, Chris Hayes and Huey Lewis. 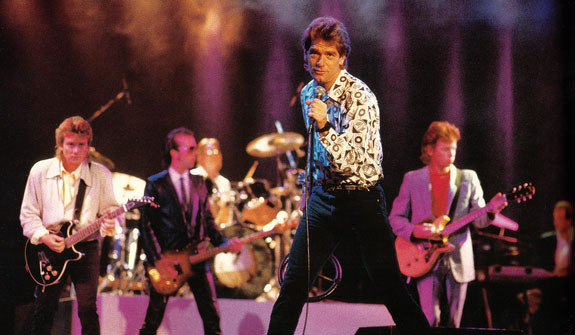 Performed by Huey Lewis and the News.